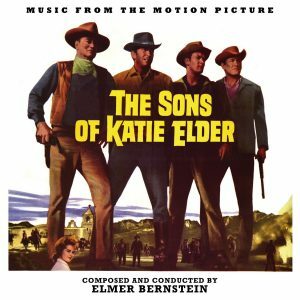 Back in 2013, La-La Land Records released Elmer Bernstein’s scores to The Shootist and The Sons of Katie Elder on one disc. The latter portion was the 1965 re-recording done for the LP, meaning that the original film score recorded still had yet to be released -until now. This new album is sourced from the original mono film music stem, as well as selected cues from an Electro-vox recording found in the archives. 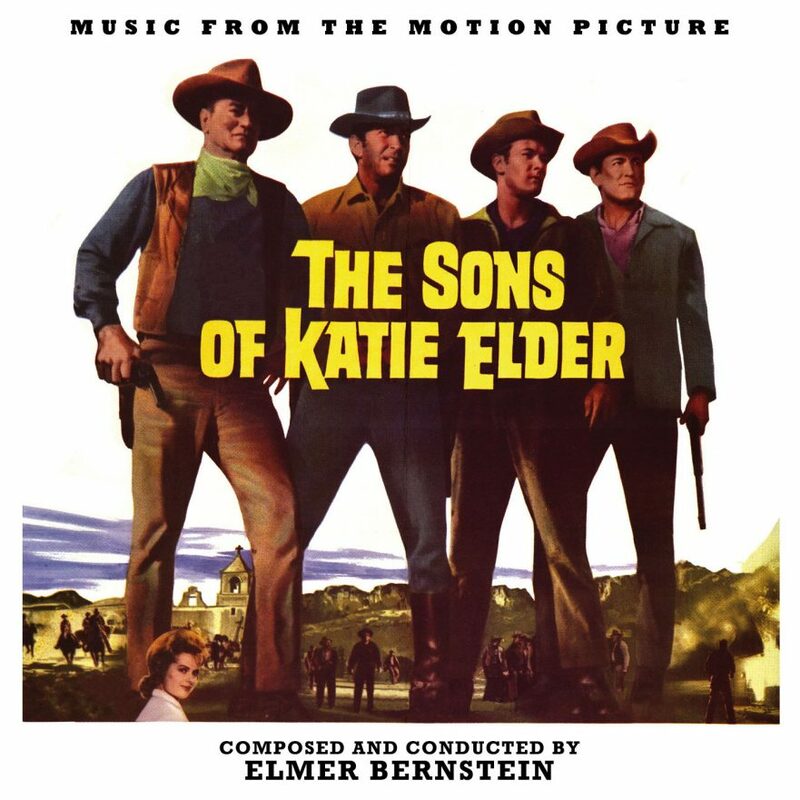 In addition to the score and source cues, we discovered a rejected demo of a song by Ken Lane (we didn’t use it on this release due to obvious licensing issues), as well as an earlier demo of the song by Ernie Sheldon which was ultimately sung by Johnny Cash. (The 2013 album had the Cash performance as well as an alternate Sheldon performance, the latter of which we re-used on this new release.) It’s striking to me how much of this 1965 Bernstein score evokes his other works. It’s really a great score, and I’m thrilled we could finally get the original recorded film score released. Doing the artwork was an interesting thing, since this was (in some respects) me re-doing artwork I had already done. Thankfully the 2013 assets I had pulled were easily restored from my backup archive, and I found that there were more images I hadn’t used in that release which would work nicely for this new one. The big question was the album cover. I wasn’t too keen on re-using the same VHS cover that formed the basis of the 2013 (flip-side) cover, so I initially went for a design using the DVD artwork. That aesthetic spread to the rest of the album package, but in the end it was decided that the original key art would be better for the cover – if we could get a good asset of it. Thankfully the art department at Paramount had a scan (that they didn’t have back in 2013) and after some massaging, it was perfect for the cover. The DVD artwork ended up being used on the disc face. You can check out the artwork here, and the album is now available from La-La Land Records.